Turbo Kids is a Platform Skill game from MAD.com developed by Eugene Yailenko. 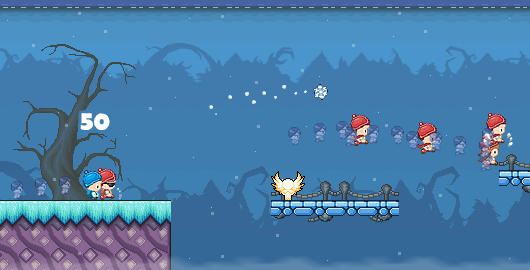 This is a race where not only do you have to run and jump but throw snowballs at opponents to slow them down. Watch out, they can throw snowballs at you too!